Tactile textile\nThe P2 series now comes with a fine linen textile pattern embossed on the outer covers. This lends a professional refined look and feel to the line that adds distinction to functionality. There are also practical benefits, as the pattern makes it a bit easier to keep a firm grip on the go, while also resisting scratches.\n\nSkype for Business Certified\nThe TravelMate P2 Series is certified to deliver the high audio and visual standards of Skype for Business1. Optimised hardware ensures that every word will be heard clearly with no gap or lag in speech, minimal background noise and zero echo. That means you can call or video chat with superior audio and visual quality.\n\nIntuitive and efficient\nThe TravelMate P2 is packed with features that make it easier to do business. Work faster with smoother gestures on the large Precision Touchpad. Quickly share business contacts with a smartphone via Contact Pickup. Log in to the TravelMate P2 faster thanks to Face Login. For shipping to other EU countries visit this page Acer TravelMate P257-M-56UR. Für Versand nach Deutschland, besuchen Sie bitte Acer TravelMate P257-M-56UR. Chcete doručit zboží do Česka? 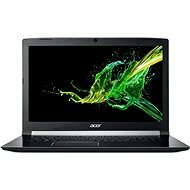 Prohlédněte si Acer TravelMate P257-M-56UR. Für Versand nach Österreich, besuchen Sie bitte Acer TravelMate P257-M-56UR. For shipping to the United Kingdom visit this page Acer TravelMate P257-M-56UR.